Cosmetic surgery has changed the lives of countless men and women who desire a personal improvement in the way they look and feel. Whether you are coming to our New Orleans practice for reconstructive surgery, or are having an elective cosmetic procedure to enhance your image, we have the surgeon skill, a caring and compassionate staff, and two locations to meet your every need. Stunning Before And After Photos. Dr. Jansen, Dr. Tandon, and Dr. Guste offer a wide selection of cosmetic surgeries and procedures for our patients. They are highly skilled in all areas of plastic surgery, including breast augmentation, facelifts, body contouring, and skin refinements. At Jansen Plastic Surgery, an emphasis is placed on natural-looking results that enhance the patient’s overall appearance and self-confidence. 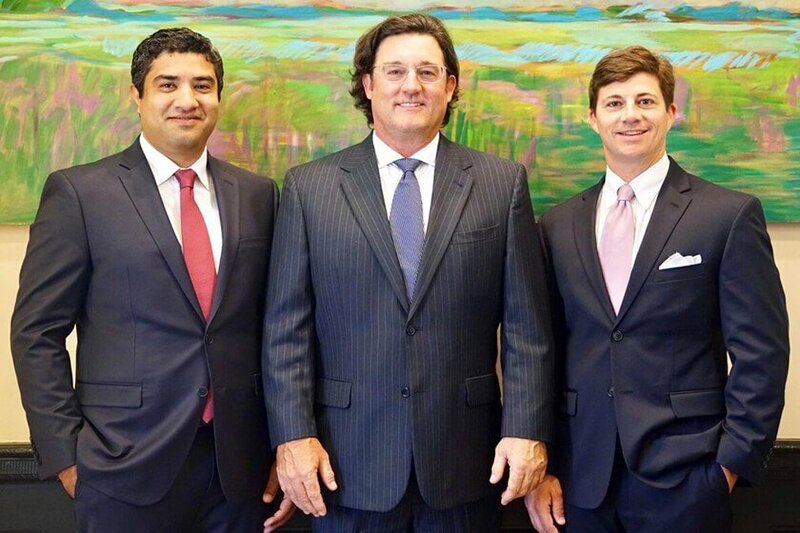 Serving the greater New Orleans area, Dr. David A. Jansen, Dr. Ravi Tandon, and Dr. John P. Guste are plastic surgeons specializing in cosmetic and reconstructive surgery of the face, breast and body. Our doctors are known for their positive attitudes, high patient satisfaction rates, and natural results. They incorporate the most progressive surgical techniques to create outstanding transformations for their patients. In addition to cosmetic breast surgery, such as breast augmentation and breast lift, Dr. Jansen, Dr. Tandon , and Dr. Guste are skilled to perform liposuction, body contouring, facelift surgery, rhinoplasty, and many highly sought after nonsurgical treatments such as BOTOX and fillers. Dr. Tandon's skill rebuilt my body after my cancer surgery, but his caring and compassionate (and humorous) attitude kept my outlook on life on track. I have never been a negative person, but cancer can make you question so much. Dr. Tandon never let me doubt that i could make it through. I would recommend him to everyone who is facing my situation, or who wants a physician who really cares about the total you. Thank you, Dr. Tandon, for everything! Dr. Guste is truly an AMAZING doctor. He listen and helped me make the right decision for my breast reconstruction surgery. He is a very skilled surgeon I would recommend him hands down. His attention to my needs as a patient was overall the best! He explained the procedure an helped me make the right choice. He was willing to take as much time as I needed. i cannot say enough I had hesitated on several occasions to have the surgery due to my age. When I met with Dr. Guste my fears were diminished. His professionalism and personable manner won me over. The surgery was very successful with zero pain. I cannot believe the transformation. I would recommend Dr. Guste to anyone. I can't recommend Dr. Jansen enough!!! The experience start to finish was fabulous. Dr. Jansen was very clear with expectations vs reality. He was very forthcoming in the procedure he would be conducting and the fact he would only conduct what he was comfortable with. It was nice to have a Dr who is so honest with his patients. Dr. Jansen listened to my concerns and expectations and was determined to get the desired results. Calf implants to correct atrophy aren't the easiest to do, but he was on a mission to succeed and make me happy. He helped me gain the self-esteem I had been missing! He's a life saver. Our Metairie and Thibodaux-based plastic surgery office is staffed with intelligent, dedicated, and highly trained team members. Many of the wonderful individuals on our staff have been with our practice for a number of years. Our commitment to the success of our plastic surgery practice trickles down directly to our patients. When you arrive for treatment, we welcome you and treat you like one of the family.